Otterly adorable! I want an otter! Such a sweet little guy! He's perfect for this CASE! I love the heart detail on the top of your tag too! Oh my gosh is he ever cute!! This is darling Tracey! 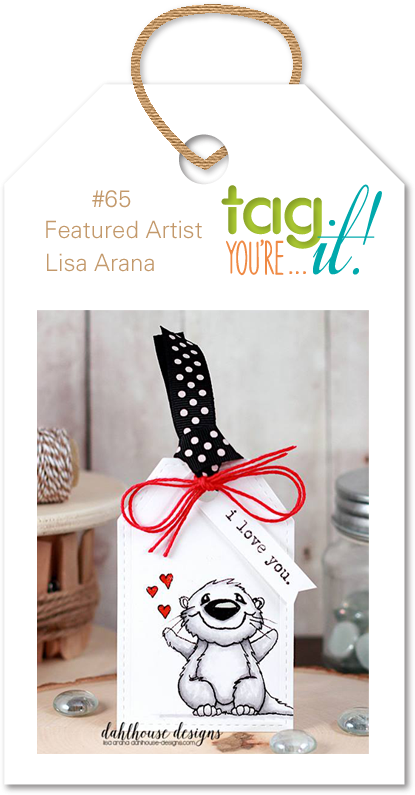 So sweet, Tracey--wonderful take on the inspiration tag! Love the scored lines--never think to do that! Awww...so so cute with the little otter!! What a sweet tag! Who wouldn't want to receive this?!?! Adorable....just as cute as can be! Oh, I don't think this could be any cuter! LOVE!! Darling reminder tag,Tracey! Oh how cute is that little guy! 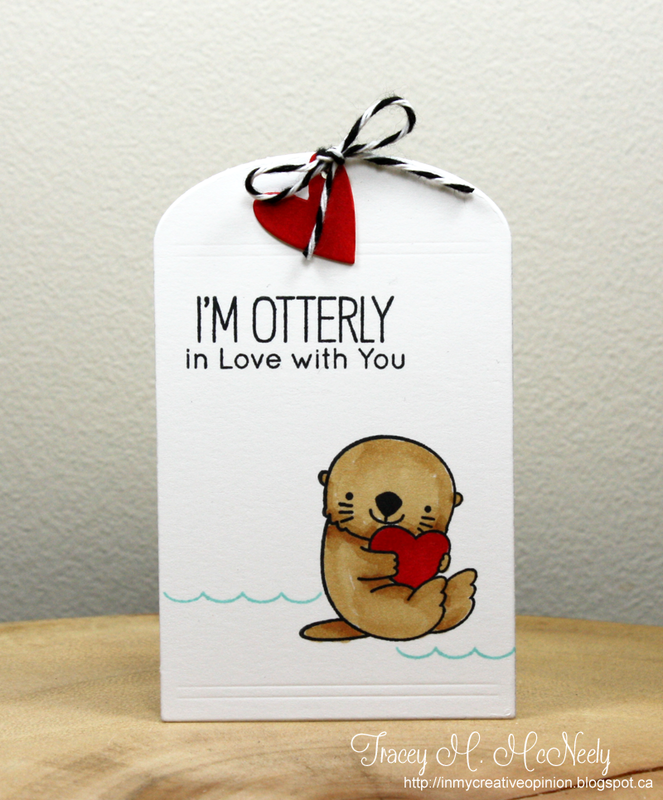 I think you picked the cutest otter in the whole set for this tag! Such a darling expression and I love how he's holding onto the heart...so adorable!